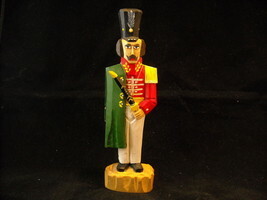 This item is selling for $149.99 on eBay. 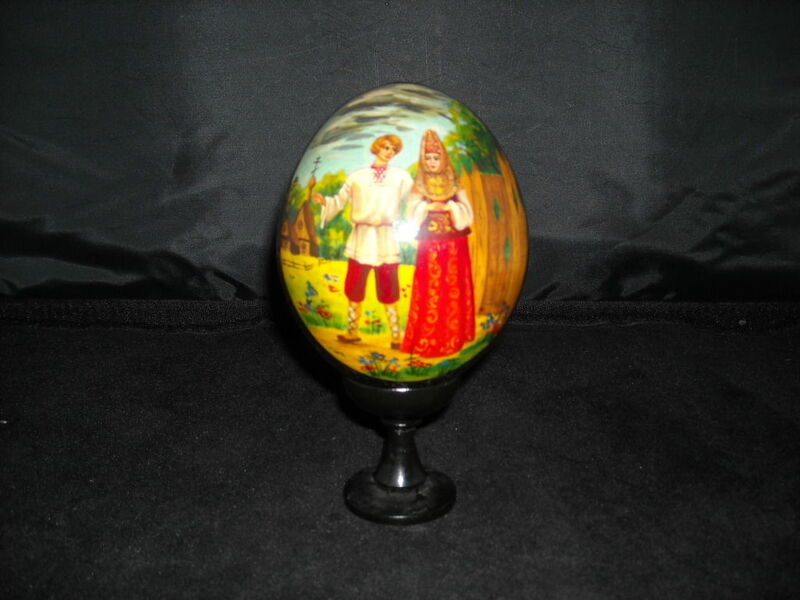 This is a listing for a Vintage Collectible Russian Wooden Egg. 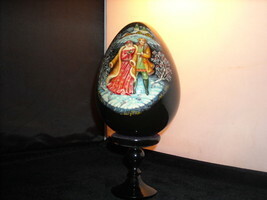 It has a black lacquer finish. 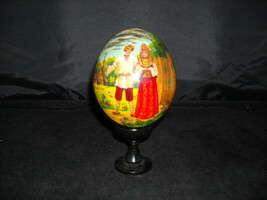 The egg features a scene of a couple in folk costumes with a pastoral background. 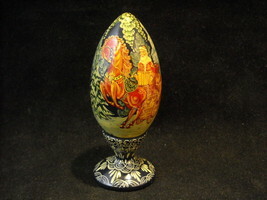 It also has a separable base. It measures 8" x 5" x 5".